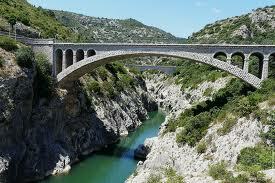 A common request for property here is what I tend to think of as the holy grail of Languedoc property. That is a large period family home, in the heart of a village, rather than stuck in the middle of nowhere, with a proper garden, swimming pool and original features. Add to this proximity (10 mins) to Pezenas and what you have is fantastic but in reality quite rare. Sure these places come to the market but they are so often flawed. A tiny garden, a lousy location, overlooked, PVC windows! The usual problems. Well today I was lucky enough to see what is pretty close to perfection. A wonderful period home that just ticks all the boxes. Over 300 sqm of living space, on a plot of around 1300 sqm in a great location, close enough to Pezenas to zip in and grab a DVD. More details to follow but for now all I can say is if you've got approaching seven figures to spend then be prepared to be very excited. Centre of Pezenas - A hidden gem. Right in the heart of Pezenas, behind a small facade, you will find a wonderful period stone property of 320 sqm, kitchen, dining room, huge reception room, study/TV room, 4 big bedrooms, courtyard garden, amazing roof terrace and..............wait for it..............AN INDOOR SWIMMING POOL !!!!! All this for €575,000. Watch this space for more info shortly or call me on 00 33 467 00 11 71 to chat about this amazing find. This lovely village house just about to come to the market with a wonderful roof terrace. The pretty village of Castelnau de Guers, only about 3kms outside of Pezenas is home to this gorgeous house of approx 123 sqm plus just over 30 sqm of caves and a fab roof terrace of 23 sqm. Coming to the market in the next few days at a sensible €225,000. 3/4 Bedrooms and 2 Reception Rooms. Languedoc Roussillion is officially the “most popular region in France” with more people opting to move here than to any other area of France, official statistics show. At the end of 2011 the region had 2,610,890 residents and the highest population growth of all regions in France in the 10 years up to 2009(the latest census dates). The influx means that nearly half of all residents were not born here. Research chief for the National statistics body Insee Roger Rabier said that of the 49% of “outsiders” 35% were born elsewhere in France and 14% were born outside of France. He added: “There are, essentially, three reasons people come: work - because even though the region has high unemployment it is very strong on creating jobs; others are brought in for their studies, while the remainder find it an ideal place to pass their retirement. There has been a 14% increase in population since 1999 and it tops the growth charts, ahead of second-placed neighbours, Midi-Pyrenees. The majority of incomers (135,500) chose to settle in Herault, while 78,800 opted for Gard. Pyrenees-Orientales attracted some 53,100 newcomers, compared to 44,200 in the Aude - only 3,650 new arrivals chose to make their home in land-locked Lozere over the past decade. 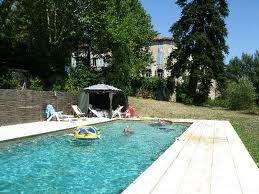 CLICK HERE find out more about property in Languedoc and more specifically property in Herault.